There are days where it seems like the only thing getting me through another awful commute -- on foot, on the MTR, riding a ferry, or in a taxi-cab's backseat -- here in Hong Kong is the presence of Superchunk on my iPod. Silly, I know. But there's something about Mac McCaughan's voice that does it for me. He manages to sound like an angry man yelling for people to stop arguing. There's a hint of hope in his yelps. And that guitar-roar behind him fills in the gaps where his voice doesn't go. Nowhere is that unique combination of voice-and-roar better heard than on "Out of the Sun" from the fantastic new record, I Hate Music. A song about baseball? The end of high school? The end of youth? The start of adulthood? Fill in your own meaning. Here, the band expands the track into a Built to Spill-sort-of-jam and Mac shreds on the axe. The yearning on the record is more rage against the dying of the light here. So leave me alone and "get me away from everyone." I'll be the gweilo on the MTR platform with this seeping through his earphones in Yau Tong or North Point. 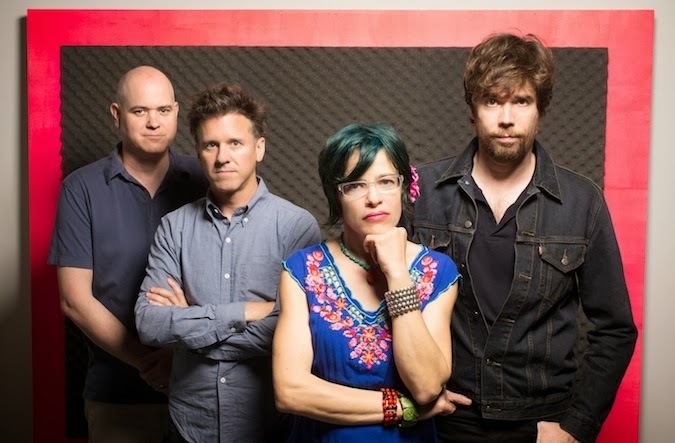 I'd love to be home and waiting to see Superchunk live on this tour at D.C.'s Black Cat or (new) 9:30 Club. Original bassist Laura Ballance isn't hitting the road with Mac, Jon, and Jim but fill-in bassist Jason Narducy acquits himself quite well in these live KEXP clips. Dig it. There are more live cuts from the session on YouTube but if you only watch one more, watch this devastating version of 1995's "Detroit Has A Skyline Too" from Here's Where The Strings Come In.